Citrix acquired the domain cloud.com in July 2011 for a startup based out of Cupertino which later is available as Apache CloudStack. The domain acquiring process itself became a big news at that time. However, the domain remained in the same condition with a blue colored webform. Citrix is known for support and collaboration software, such as GoToMeeting and GoToAssist, but the company has expanded over time garnering even in virtualization services and entering into the cloud business such as XenServer, CloudGateway, CloudPortal and others. 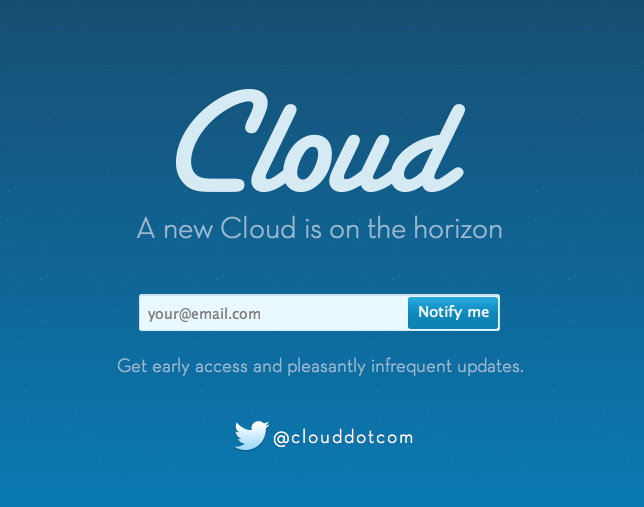 Citrix In 2011 has acquired the domain name Cloud.com. First, the company prevaricated about using this domain, in 2012, it seemed that the company has a project in mind. CloudStack is open source cloud computing software for creating, managing, and deploying cloud services. It uses hypervisors such as KVM, vSphere, and XenServer/XCP for virtualization. In addition to its own API, CloudStack also supports the Amazon Web Services (AWS) API. The Register wrote in 12th July 2012 – “The deal is believed to be worth $500m” in an article named “Citrix swallows OpenStack ally Cloud.com“. If you think carefully, is not it a abuse of domain name system ? How many exact match domains are actually successful in online business ? Yes, its kind of rare. Whether Apache CloudStack is good or bad project that is a separate question; the old way of thought that people will type a word and then type dot, then com, possibly has very less to do with business itself. This Article Has Been Shared 2328 Times! Cite this article as: Abhishek Ghosh, "Citrix and the domain cloud.com," in The Customize Windows, May 25, 2013, April 24, 2019, https://thecustomizewindows.com/2013/05/citrix-and-the-domain-cloud-com/.